Nowadays, most of us use more than one web browsers for surfing the web. The reason for this is pretty clear! It’s simply because we don’t get everything that we want in one browser so we end up using several browsers. Well, if you are using more than one browser then you may have to spend more time maintaining them. For instance; deleting browsing history, cookies, etc in different browsers. 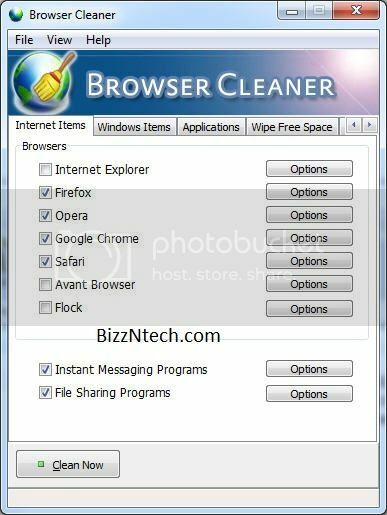 I came across a software known as Browser Cleaner that helps you to clean browsing history of several browsers in one shot. I use three web browsers at the moment- Chrome, Firefox and Opera. This tool is really handy and saves a lot of time for me. Using this tool you can delete download history, browsing history, cache, cookies, etc.